FREDERICTON, NB – Picaroons Traditional Ales has announced an old favourite that was discontinued last year has returned under a new name. DSN (4.8% abv) is a dark wheat ale that was originally available as Dark & Stormy Night, but had to be retired due to a legal threat over the name. It made a brief reappearance on draught under the name Cease & Desist, but is now back in the regular line-up under its new and permanent moniker. 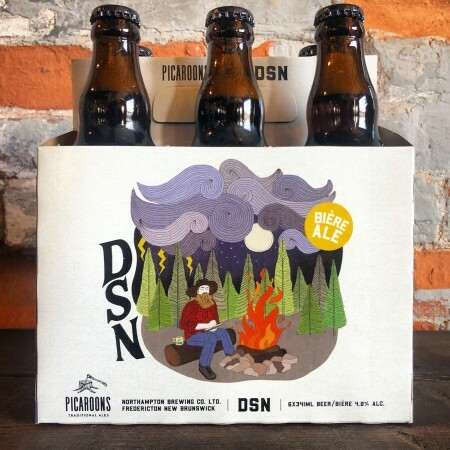 DSN is available now in six-packs of 341 ml bottles at the Picaroons Roundhouse, and soon at other Picaroons locations, as well as ANBL stores throughout the province.